Do you like salty and sweet together? This was my first time to sprinkle anything with sea salt, so I was a little stingy. 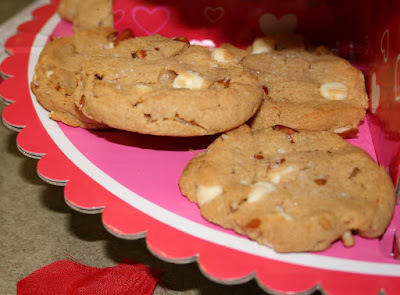 Next time, I am sprinkling with abandon.... the taste of the salt paired with the white chocolate chips and peanut butter cookie was AMAZING. Did you make any special treats for Valentine's Day?